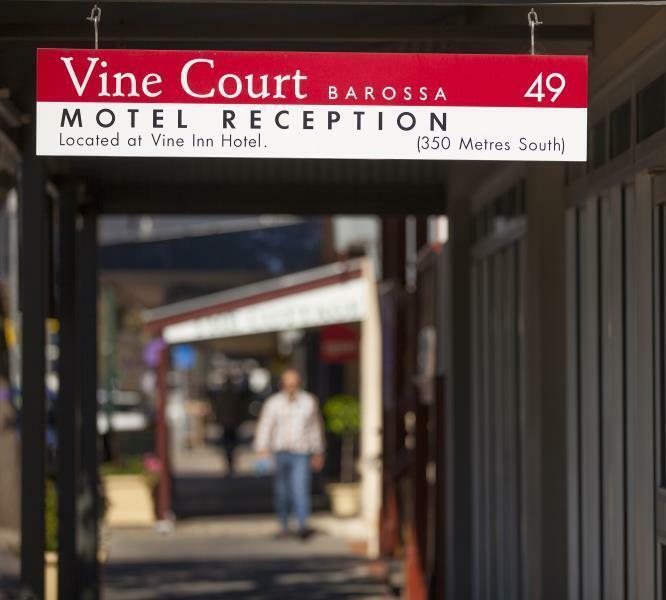 يقع في ناريوبتا, Vine Inn Barossa إنه المكان الأنسب لاكتشاف وادى باروسا و ما يحيطها. يمكن من هنا للضيوف الاستمتاع بسهولة الوصول إلى كل ما تقدمه هذه المدينة النابضة بالحياة. بالنسبة لمن يريد الخروج، هذه بعض المعالم السياحية المتوفرة للزوار بنفولد, نبيذ تويسنر, تأجير الدراجات في باروسا. يقدم Vine Inn Barossa خدمات لا غبار عليها وكل أشكال اللياقة وحسن الضيافة اللازمة لإسعاد ضيوفه. يمكن الاستمتاع بمجموعة من الخدمات على أعلى المستويات في الفندق كمثل واي فاي مجاني في جميع الغرف, مرافق مخصصة لذوي الاحتياجات الخاصة, تسجيل وصول/خروج سريع, تخزين الأمتعة, واي فاي في المناطق العامة. استمتع بوسائل الراحة الراقية في الغرف أثناء إقامتك هنا. بعض الغرف تتضمن تلفزيون بشاشة مسطحة, اتصال لاسلكي بشبكة الإنترنت (مجاني), حوض الاسترخاء, غرف لغير المدخنين, مكيف هواء لمساعدتك على استعادة طاقتك بعد يوم طويل. يمكنك الاستمتاع بالأجواء المريحة التي تقدمها حمام سباحة خارجي, سبا, حديقة طوال النهار. إن Vine Inn Barossa هو خيارك لخدمة الفنادق الراقية في وادى باروسا. Clean,within walking distance to town centre. 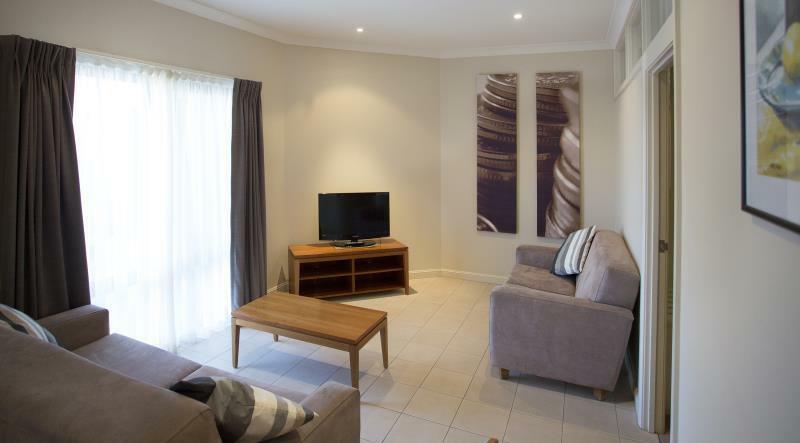 This motel was in a great location for visiting the Barossa Valley wineries. It was close to cafes and restaurants/take away places. It had everything you could need for a 2 night stay. Room was very basic but extremely clean. Bathroom had been renovated and was nice and bright. Bed was firm and very comfortable. Tea & Coffee making facilites were also available. Would happily stay again when in the area. We stayed up the road in the Vine Inn Court. Great value for money, location in the main street. Updated décor, good shower pressure, really nice clean, fluffy white towels. Bed wasn't very comfortable though. You couldn’t get better value. Lovely and clean, modernised and wonderful customer service from the ladies. We were a little dubious given our previous night elsewhere close by. It was a last minute decision and lucky to get anything on this weekend. The place is great in the heart of Nuriootpa. We booked the 3,1/2 star room and everything was so good for its price. Bed was nice and firm, clean bathroom and the aircon was great. We will definitely be coming back again. We stayed in a family room with 2 kids in a 3.5 star motel room. Everything was still new, clean and in good condition. The beds and sofa bed were very comfortable. There is a nice bistro and pool. It overlooks a large vineyard but it was past the carpark. The toilet and shower/tap were in separate rooms. Overall, it is a very nice motel and was a place to stay. This hotel overall is nice to stay. Easy to walk around, local nice food and get to meet some friendly locals. Just one minor issue if you travel with young children as we have to carry our luggage 2 second floor. The hotel is very clean, bed is comfortable and the room is quiet. The staff were friendly and welcoming. Would recommend this hotel. Really surprised. Clean and modern room. Just an overnight stay with older daughter and mum. Shower was brilliant. Beds comfy. Maybe a little firm. Pillows a bit firm too. Was only one soft one which I mum let mum have. Other the foid in restaraunt was awesome for dinner. The buffet breakfast hot or cold was very affordable and very delicious. Arrived 9pm. Front locked. No notices, information or bell to ring for assistance. Had to walk around far side to find an entrance which was a semi deserted bar . Took several minutes to find appropriate staff member who gave vague instructions to find room. Drove around dark streets returning 3 times for help and eventually a more mature and helpful staffer came with me to locate the room half a kilometre away. At 10 pm! Obvious landmark of well lit real estate window and small sign and arrow in the dark street was never mentioned. Drinks in the street gave better directions. Very clean and great value. ProbBly the best location in the Barossa but the room was very tired and smelly. We ate at the onsite restaurant and weren’t overly impressed. The staff didn’t want to seem to be there and my steak was very dry. We only stayed one night for day on the green and it was fantastic. The 2 lovely ladies on the desk on the 27th November (sorry didn't get their names) were so helpful and friendly! Wouldn't hesitate to stay there again. The only criticism my partner and I could find would be the map that was provided to us by reception to find our room. We would recommend adding the estimated distance of the other rooms from the main reception as the map made it look like it was only a few blocks when in reality it was about 350 metres away. 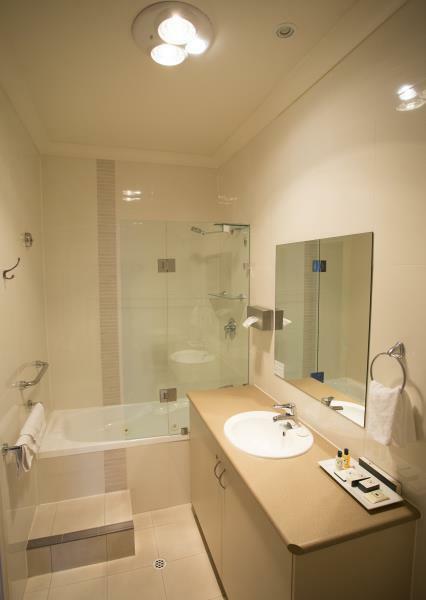 Apart from that the staff were quite friendly and the facilities were clean and well maintained. We would definitely recommend the Vine Inn to our friends and family and we would stay there again. We stayed for two nights and used it as our base while we explored the surrounding areas & wineries. Recently redecorated, our room had a heat pump & a ceiling fan and walk-in-shower. The Bistro attached to the Vine Inn was competitively priced and very convenient for dinners and breakfast. We were surprised to find that we were in another section of the motel, about 350 metres down the road. They could easily have been different companies! The spa was not working in the pool area, and had not been for sometime the lady said - this was one of the main reasons that I booked the Vine Inn. The pool was quite nice, but you had to go in through the main hotel, so for us, we had a walk 350 metres up main Street, then through the motel past the sports bar to get to the access. No chance of just wearing a light cover up over your swimmers, and with no where to change, we dripped our way back to our room, not having the option of staying for a drink. The pool itself is quite nice, but with 3 related families and 12 children all having fun, we didn't stay as long as we might have otherwise on a 38.c day. It was fine, but their rooms over looked the pool, and a family reunion was underway so we left it to them. The restaurant was like a big RSL, both in decor and staff, but the food was very good, and reasonably priced. Half serves were also available. The washing machine & dryer weren't working, but there was a large, deep sink, plenty of pegs and line space. 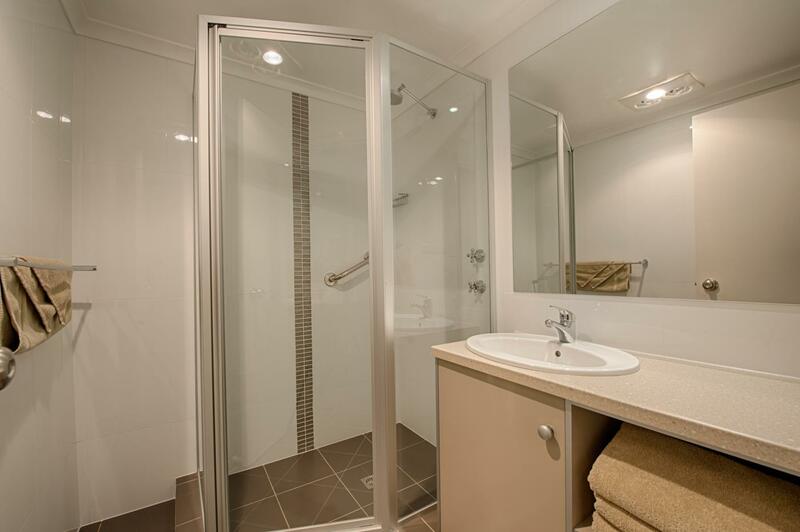 The beds were comfortable and the shower easily accessible for the disabled. Although I would have preferred to be in the main hotel, I would stay there again.